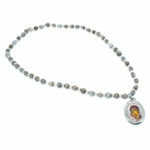 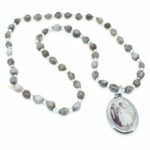 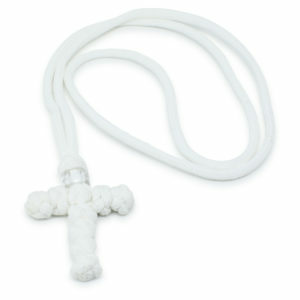 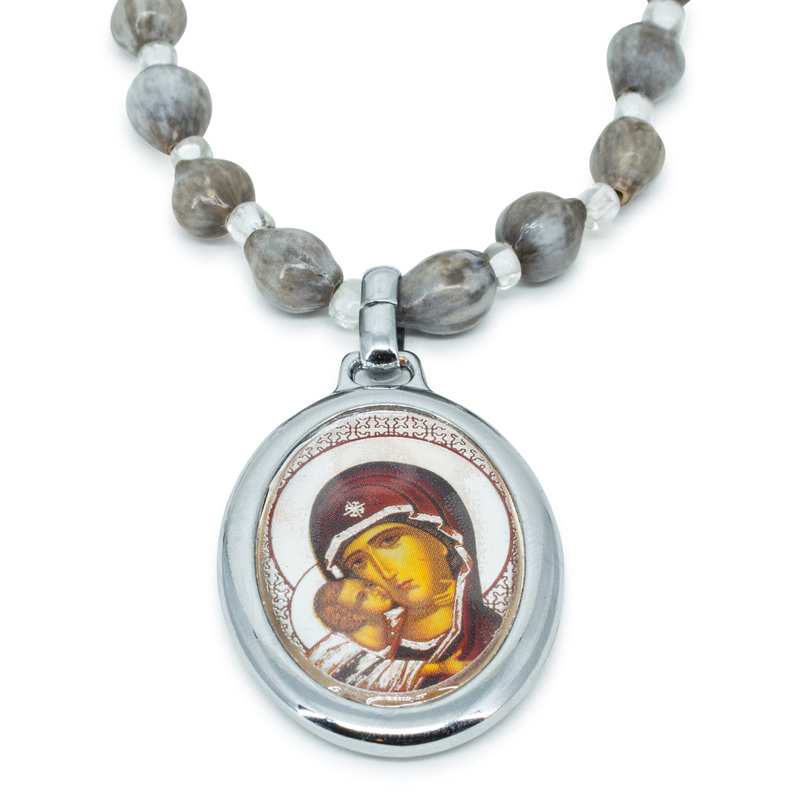 This beautiful Panagia’s Tears Orthodox necklace is handmade and authentic. 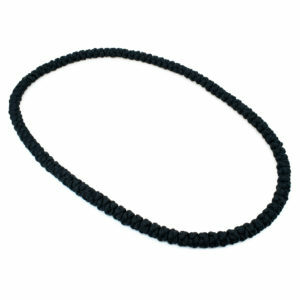 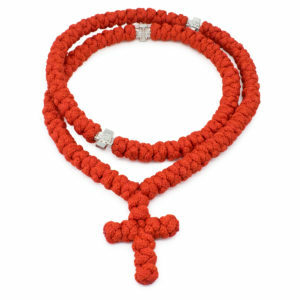 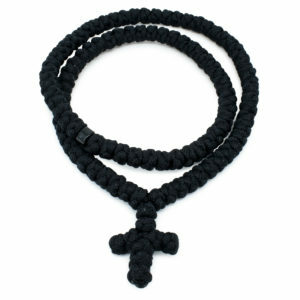 It is made out of genuine Pagania beads. 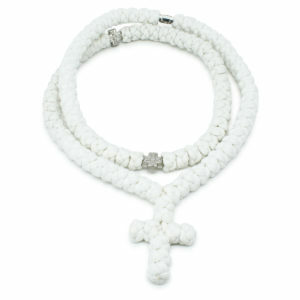 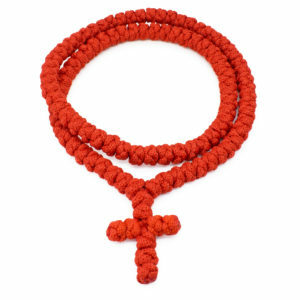 These beads come from the plant “Tears of the Virgin Mary”. 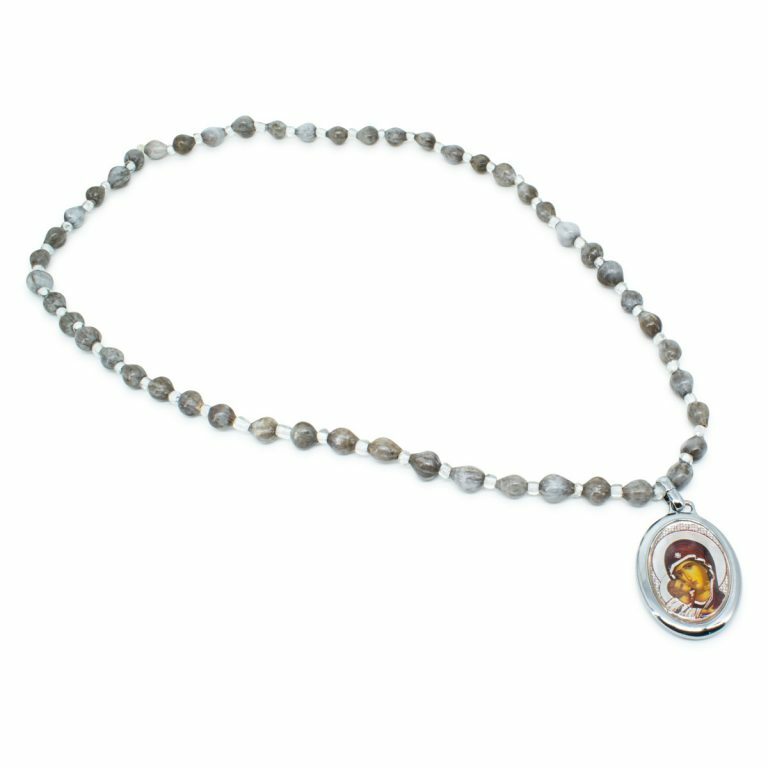 It is said that this plant first appeared at the spot where the Virgin Mary’s tears fell on the ground while Our Lord Jesus, her Son was crucified. 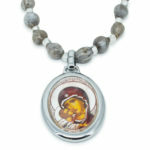 This makes this necklace truly magnificent! 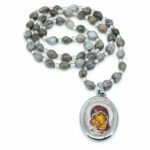 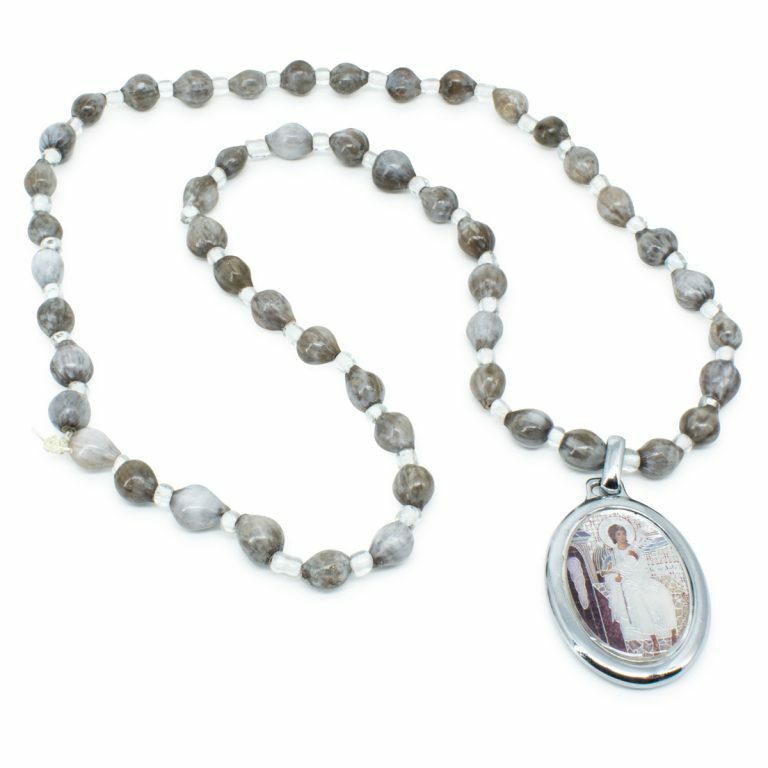 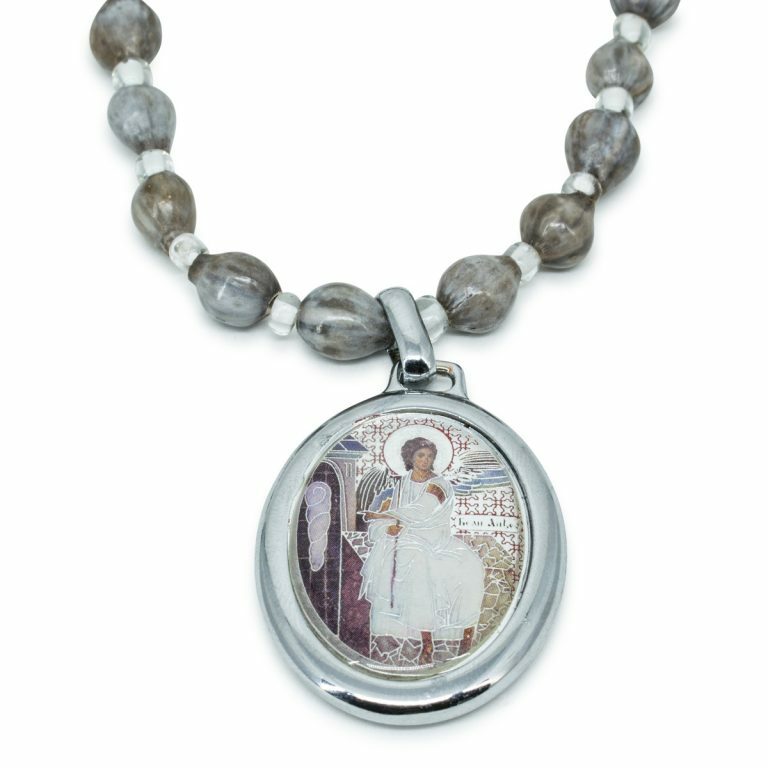 This necklace also features a metal double sided pendant, with on one side the Holy Virgin Mary and on the other the “White Angel”.